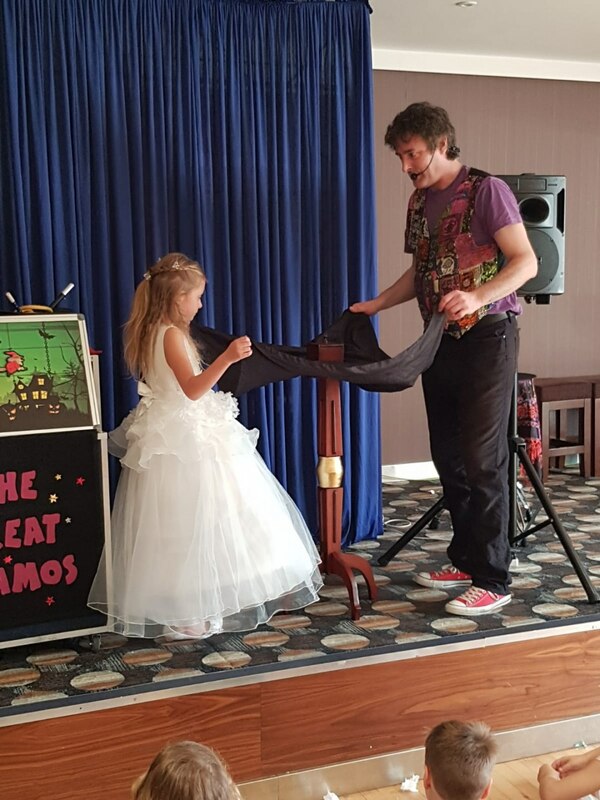 Magical entertainment for any occasion. Sit back and relax while the magic happens. 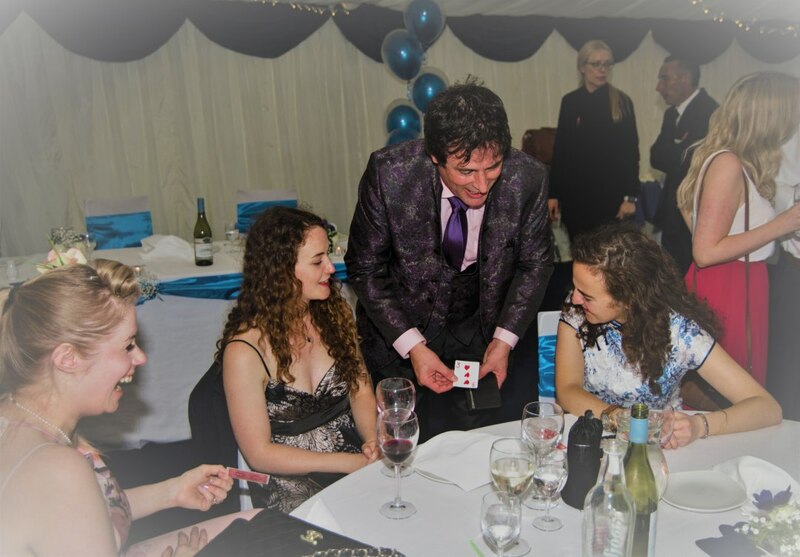 Award-winning professional magic for any occasion or age. 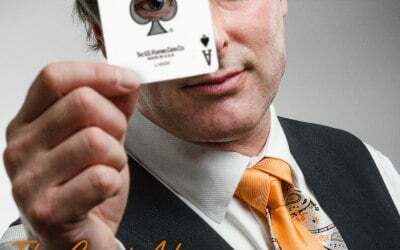 Close up, parlour, stage and table magic for parties, weddings and corporate events. 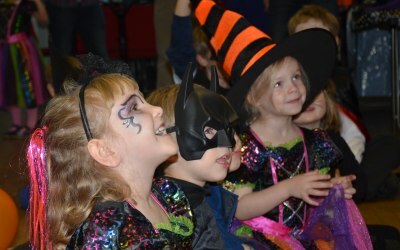 Popular and fun party packages for kids too! Sit back and relax while the magic happens! 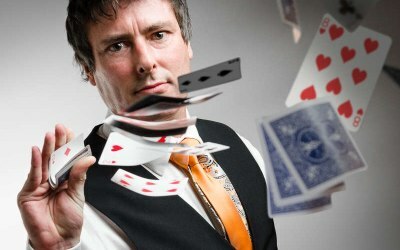 I work with you to advise the best way to ensure you get exactly what is needed for the occasion... every event is unique so it is important you get the best value for money and magical entertainment which your guests will remember and talk about for years after. Kid's party? 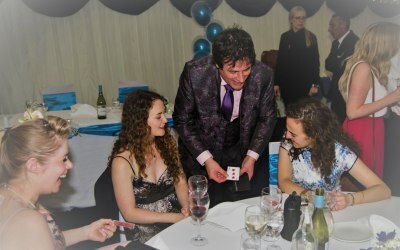 Popular children's magical party packages; magic show, games and balloons. 100's of performances... 100% fun! 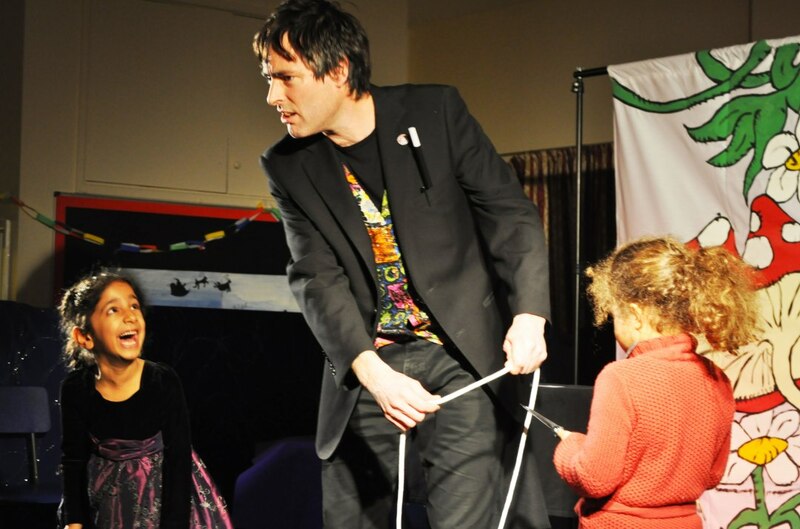 Special shows for older kids including choice of magic and balloon workshops. Check out my reviews from satisfied clients! Corporate functions and society dinners. 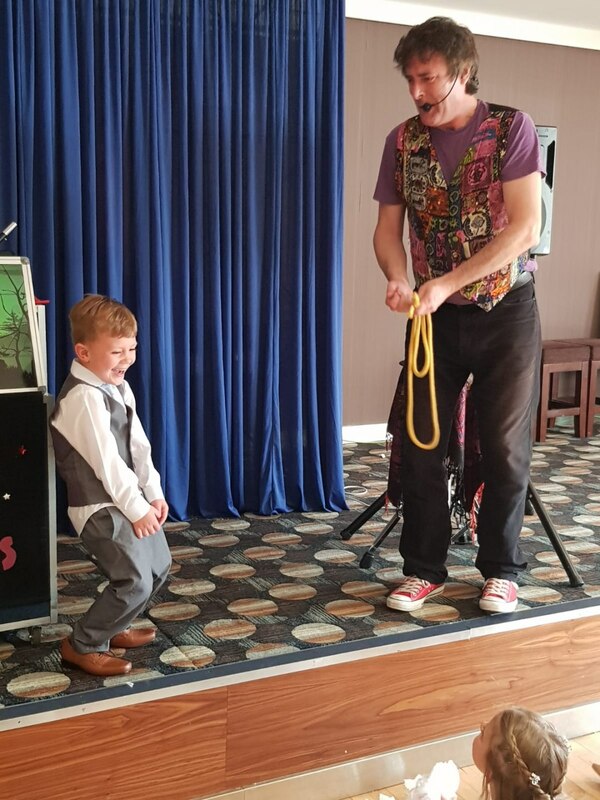 Children's entertainer for parties. Holiday and pre/after-school clubs. Thank you Frank. You were brave to try something different for your club and I would be delighted to help out again in the future. Adam is what always in contact, confirming receipt of payment and courtesy emails. 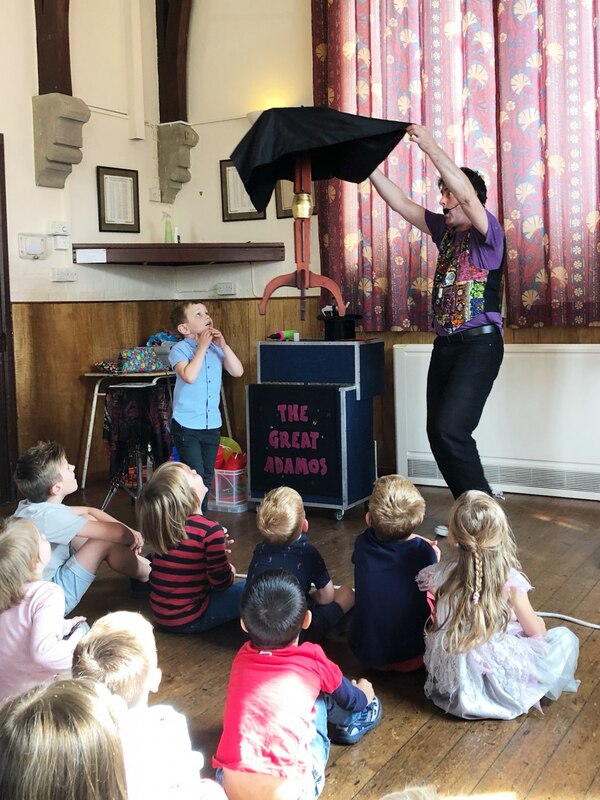 Genuinely a happy, cheerful magician who kept the children fully entertained and engaged throughout. 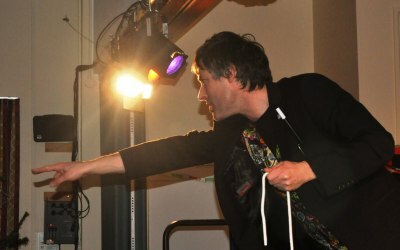 His natural funny humour even kept the adults entertained! Thanks for the lovely review Stephanie. You did a great job organising the party and the kids were a delight to entertain. 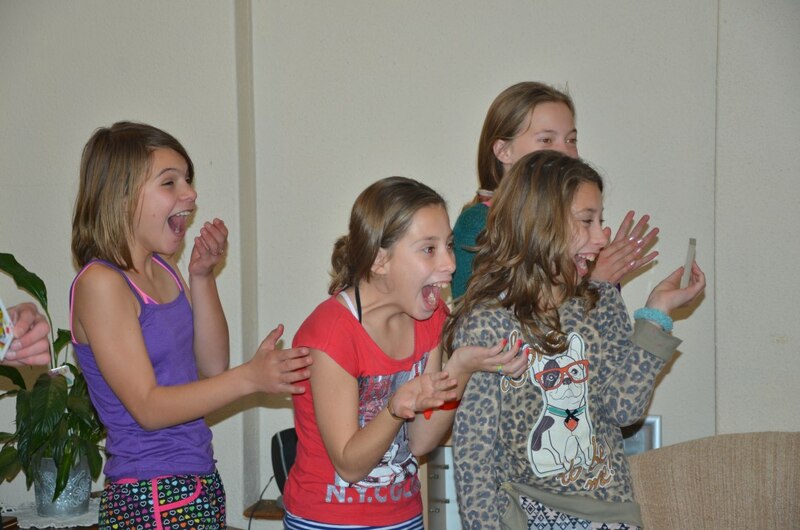 Always a pleasure to see the kids laughing and enjoying themselves (and the parents!). Very nice, professional, lively and engaging with customers. 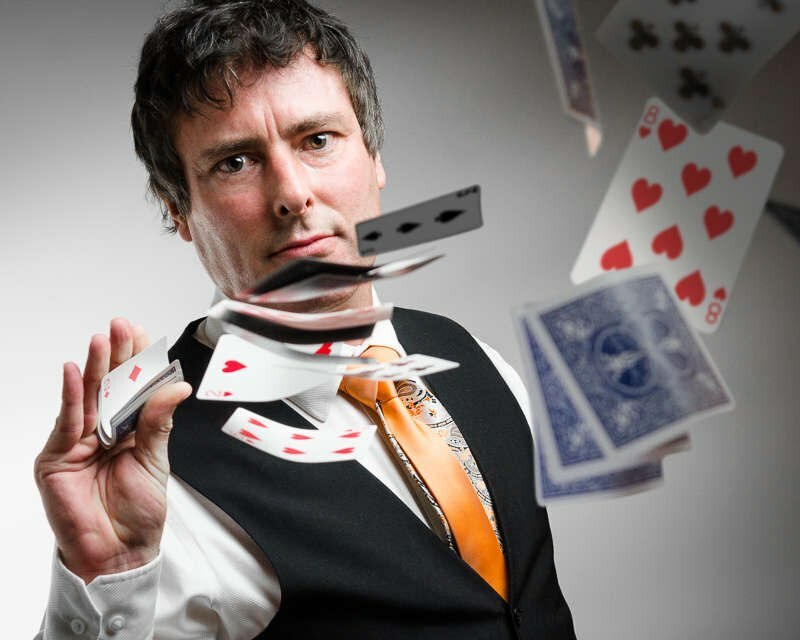 He had amazing magic tricks and added Bud Light into his tricks which was even better. I would love to keep working with him if we have future opportunities. Thanks Lee. It was a pleasure working for Spektrum Events as the Bud Light Wizard for the trade fares (although having to wear a wig and cape was a surprise!). I always try to make the effects relevant to the company I am representing and help promote them as much as possible... we got great feedback from the public... dilly dilly! Thank you Jenny. It was a really fun christening party and you were the perfect hostess. Best wishes for the future. Organised a back drop set up at my home before the party and then turned up on time and didn’t stop until all the guests had been entertained. Very happy with the service. Thanks Jon. It was a pleasure. The Room of Mystery worked really well at the party and made great use of the spare room. I'm still in awe of the macaroni cheese though! 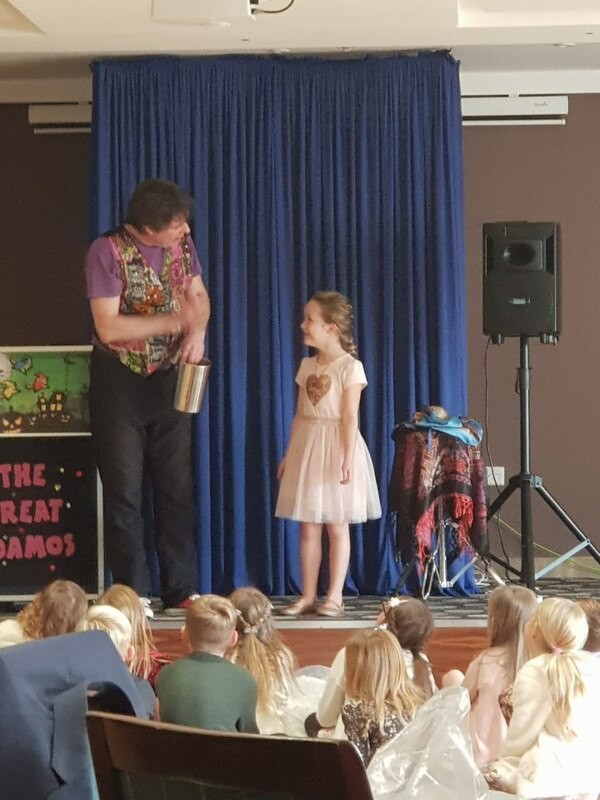 Adam was fantastic, he was busy throughout the event and stayed late as the children were having so much fun watching his tricks. Adam was approachable and at ease with the large groups. We had over 450 attendees and this did not faze Adam at all. He was able to hold small groups attention well and would move around. Thanks Jenny. You helped organise a really great event for foster carers and their families with a real mix of ages; from little to big! They had a blast! It was a pleasure to work with you. What a GREAT Performer, magical! Adam was absolutely faultless in his service. 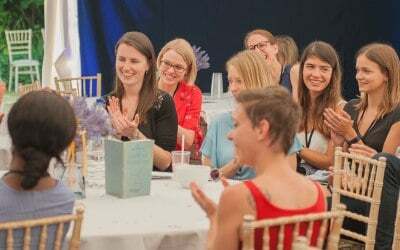 We booked Adam for our Wedding Celebration to fill the 'sometimes' quieter void between the end of the wedding breakfast and the start of the evening do and it worked superbly. Good communication in the run-up to the event, Adam turned up on time and swept straight into the room and started entertaining the guests. We had fantastic feedback from the guests and they commented what a great idea it was, particularly with the children. At the end of his session we had said our thanks and goodbyes and 10 minutes later, he was still entertaining the kids on his way out, brilliant. I would highly recommend. Thank you Toby and Rachelle; your post-wedding celebration was great fun and it was a pleasure to entertain all the guests that evening. 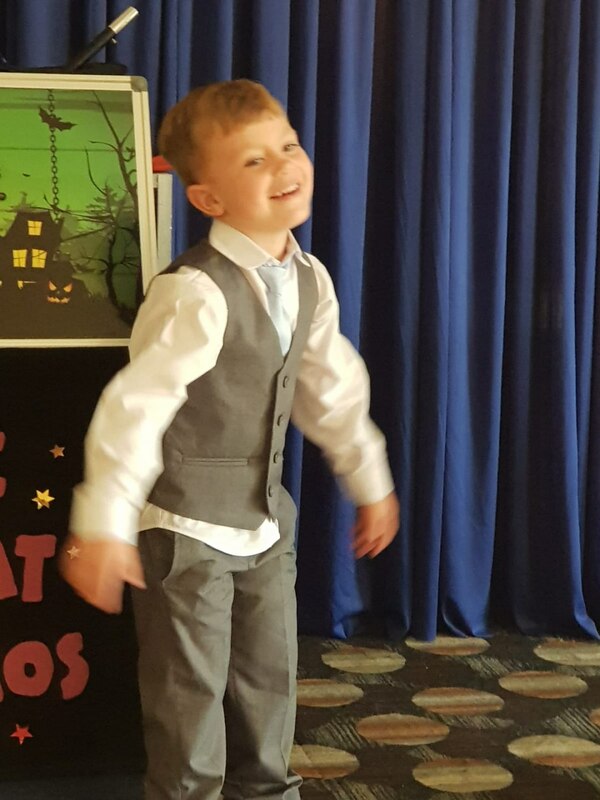 I wanted to get an entertainer for my son’s 5th birthday to do something different from other parties. 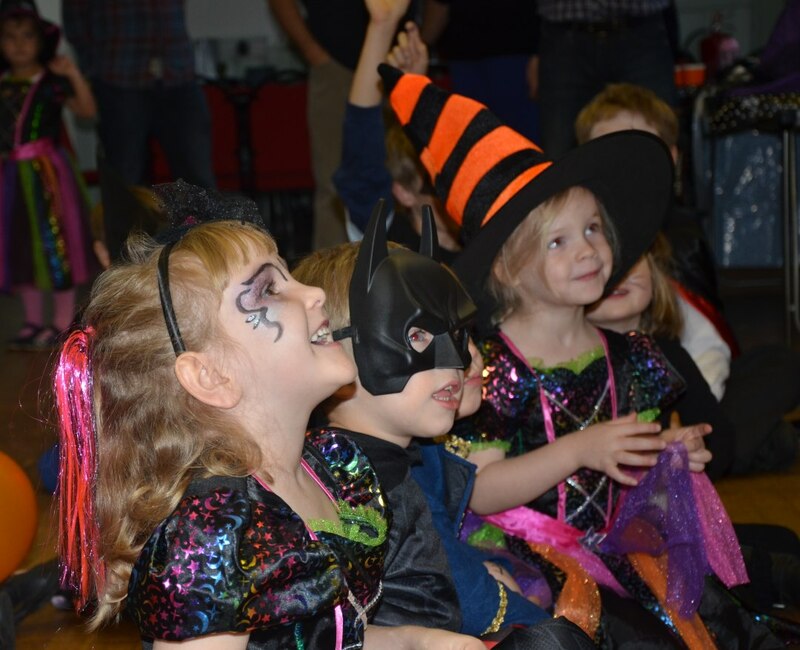 The party was a real hit and the children were thoroughly entertained the entire party, 99% of kids got involved in the games and they were mesmerised from start to finish. Such good fun for kids and the adults too!! It was an absolute pleasure Kristin and a fun time for everyone. Thank you for your kind words. I love the puzzled look on J's face in the photo! It was a pleasure to be a part of the special day. Thank you Susan. The Great Adamos made a significant contribution to a very successful birthday party. Thank you John. A joint 80th birthday was a first for me; it was a lovely occasion and a pleasure to provide the entertainment. 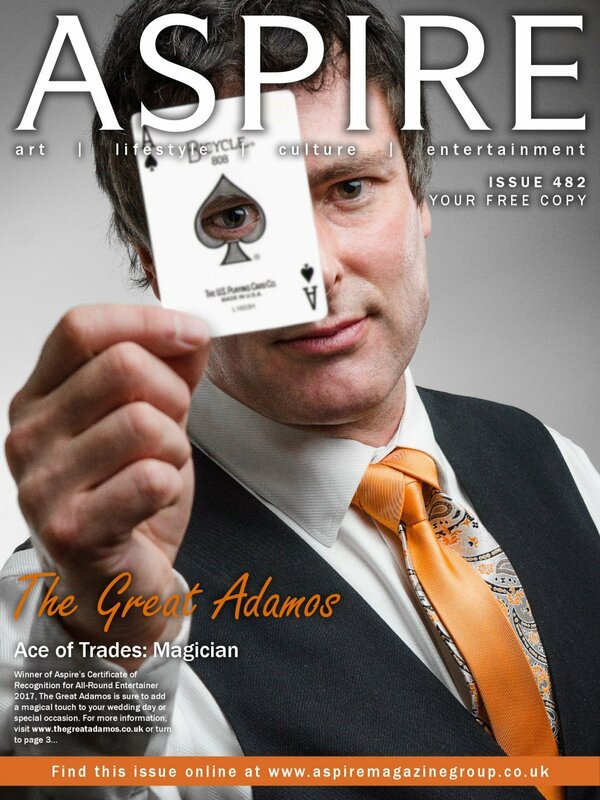 Get quotes from The Great Adamos (Magician) and others within hours.